View More In Sofa & Console Tables. 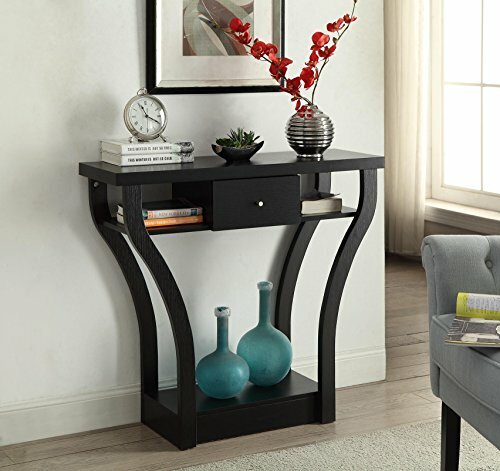 Add a stylish touch to your entryway or any interior space with this console table. This design and black finish highlight this modern design. Comes with one drawer for extra storage and showcases curved legs. Measures 32 inches high x 36 inches wide x 12 inches deep. Assembly required.